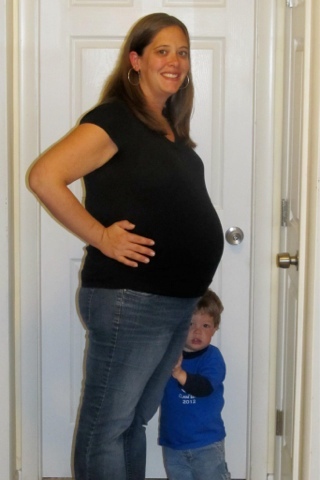 The Hayes Homestead: 38 weeks!!! Fix that veggie stuffing. It's incredible! I froze it since I can't fix the squash til next week. You look fabulous btw! Thanks Tracy :). I might make that stuffing next week - it sounds awesome! !